Kuala Lumpur, 17 May 2016 – Transformers started off as a comic series in the 1980s before evolving into animated television series that depicts a war amongst giant alien robots that can transform into vehicles and other objects. Set against the outerworld Cybertron and Earth, it centres on factions of the Autobots and the Decepticons in an endless struggle for dominance or eventual peace. Since the first Transformers was adapted onto the big screen in 2007, its cinematography and special effects have captivated audiences from around the world - both adults and children alike. Now, Malaysians will have the chance to relive the Transformers experience live! These robot-aliens will be making an appearance in 1 Utama during the next school holidays. As an added bonus, the exclusive Chevrolet Camaro that made its film debut as Bumblebee will also be on display at the event on 26 May, 3.00 to 6.00pm. Only five of these cars are known to exist in the country, making the car’s display in 1 Utama a rare opportunity. 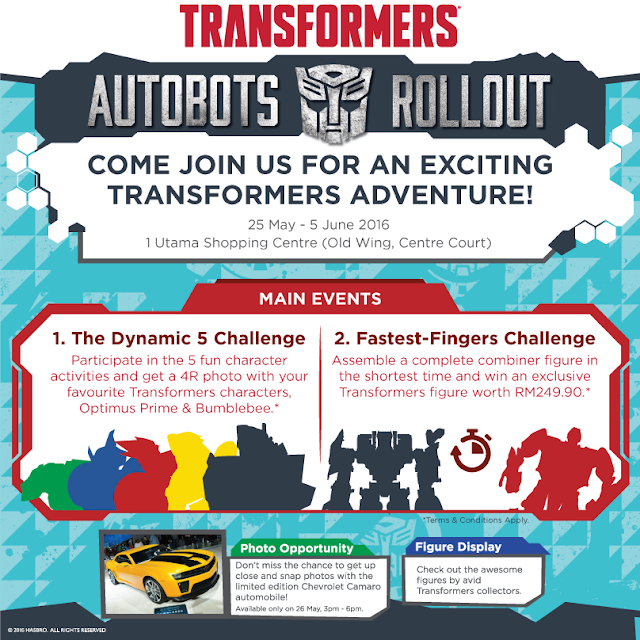 Besides meeting their heroes and the opportunity to purchase exclusive Transformers merchandise, children of all ages can look forward to a host of exciting activities at the roadshow to keep themselves well occupied during the holidays. These include the Fastest Fingers Challenge in which children 8-12 years old can participate with a minimum purchase of RM120 in two receipts. The challenge will require them to assemble a complete Transformers combiner figure in the fastest time possible. The winner of each session of the challenge, which takes place over the weekends during the roadshow period, will take home a Generations Combiner Leader figure worth RM249.90. 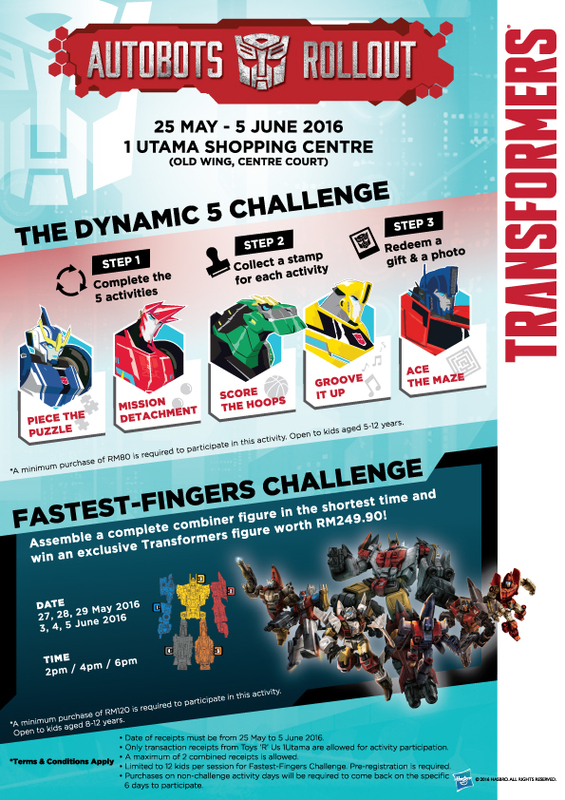 With a minimum purchase of RM80 in two receipts, children aged 5 to 12 will have the chance to bring out their inner Transformer character in the Dynamic 5 Challenge. 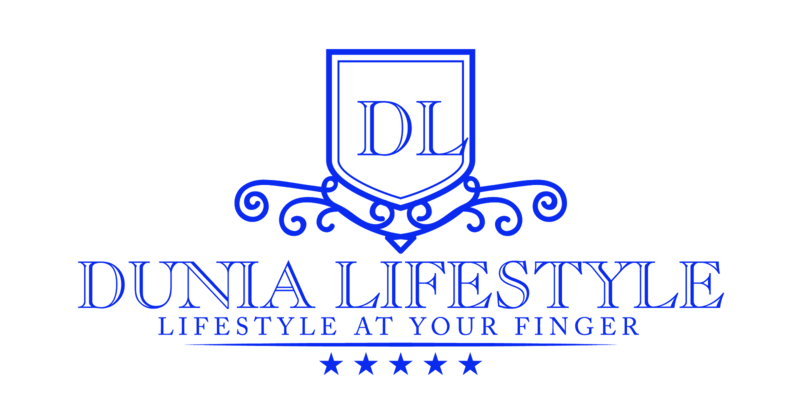 Designed to promote teamwork and leadership, this activity is centred around Transformers characters Optimus Prime, Bumblebee, Sideswipe, Grimlock and Strongarm. Everyone emerges a winner in this activity as participants will receive a Transformers gift upon completion. They will also have the opportunity to have their photo taken with a live-sized 10-feet Bumblebee and Optimus Prime statues in front of a cinematic Transformers visual background. The iconic Transformers is an action-packed fictional movie and animation series, featuring robot aliens armed with advanced weaponry and combat skills. The relationship between these robots and humans make up much of the essence of the Transformers story. More information and updates can be found on Hasbro Transformers’ Facebook page.